Roast your almonds on 180 degrees Celsius for 15 minutes. Let cool. Add oats, milk, salt and cinnamon to a saucepan and boil until thick-ish. You want the porridge to be slightly loose as it will thicken when it cools. Add the porridge to a bowl. Add a nice amount of Plum Butter to the porridge and add roasted almonds. Why 250 grams almonds? When you are going through the trouble of roasting almonds, why not make a bunch? They are the perfect snack! 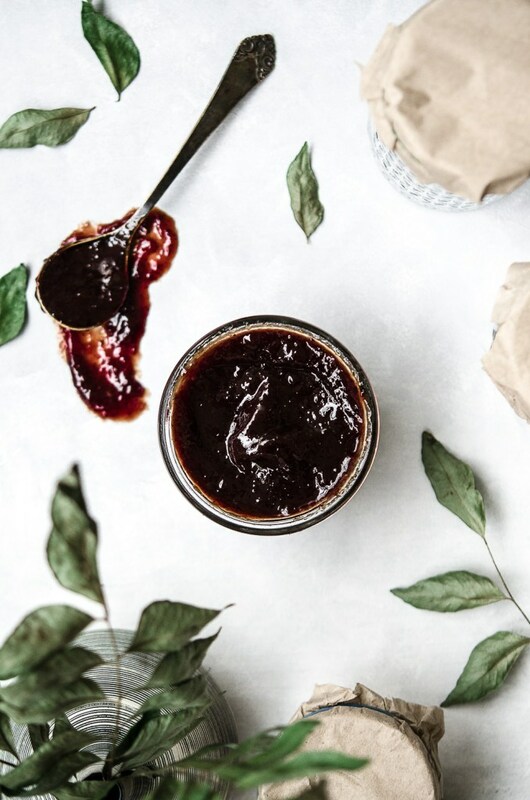 Fruit butter is made of fruit and sugar, boiled down to a thick syrup-like consistency without straining the flesh from the liquid- you end up with a creamy and delicious consistency that can be enjoy wherever and whenever you want. A perfect way to preserve the gifts that autumn brings us. Remove the stone from the plums and add to a saucepan together with the sugar. Let simmer for 20 minutes or until the plums have softened. Use a hand mixer and blend until smooth. Let simmer for 3-4 hours until nice and thick. Make sure the plum butter doesn't burn towards the end. Keeps for a long time in sterilised jars. You can use any type of fruit you'd like to make fruit butter- be creative!